Statins only became really important as a treatment for hyperlipidaemia within the last decade of the twentieth century. They are fast progressing as one of the most interesting and useful family of drugs available and are likely to become the 'wonder drugs' of the twenty-first century. There have been a number of clinically important trials performed on statins within the last ten years each allowing a greater understanding of CHD, its causes and risk factors. Not only can they be used to effective treat those at high risk of CHD, they have also been investigated in conjunction with the treatment of osteoporosis, multiple sclerosis, Alzheimer’s disease and in reducing the unwanted increased incidence in CHD in women on HRT treatment. Not everything is such a rosy picture however, as recently one of the major statins has been removed from the market followed reports of muscle wasting and deaths. In November 2000 a report was commissioned by Cancer Research UK  to look at the potential of medicinal mushrooms in the treatment of cancer. The aim of this Special Study Module (SSM) is to review and produce a report accessible to all members of the public, using that original report as the starting point. In addition it will look at the history of Chinese fungal remedies which dates far back into ancient times, and has formed the basis of the research in the report. The SSM will also look into the potential of use of fungal products in the NHS as well as their advantages and disadvantages. The major findings of the report showed that there are certain compounds found in mushrooms that have an anti-cancer effect. These compounds are known as polysaccharides. They appear to act on the host’s immune system rather than directly on the tumour. The main polysaccharides that the report focuses on are Lentinan, Schizophyllan, PSK and PSP. These polysaccharides have undergone several clinical trials and are showing good prospects for use in Western medicine. It is just a matter of whether the Western population will accept this method of treatment. Fungi help the balance of nature by nutrient recycling. Fungi decompose things. Importantly, fungi are about the only organisms that can digest wood, because the lignin which is complexed with the cellulose in wood is so difficult to degrade. Lignin digestion is a fungal speciality but they gain nutrition from living or dead animals as well as plants, and the breakdown of other complex molecules such as cellulose and tannins in soils is due mostly to fungal enzymatic activity. Fungi are all around us, and there are enormous numbers and quantities of them. It's been estimated that fungi make up 90% of the total living BIOMASS in forest soils. For grassland soils, another estimate puts the total length of hyphae at over 1 kilometre per gram weight! Scanning electron micrograph of hyphae of Pleurotus. Photograph by Dr Carmen Sanchez. There is such a large amount of fungal mycelium in most soils that it makes a major contribution to FOOD WEBS by being eaten by numerous vertebrates and invertebrates including insects, mites, molluscs and nematodes. Microarthropods are responsible for shredding organic matter in soil (and so prepare it for the final mineralization processes carried out by microbes), but about 80% of the tens of thousands of microarthropod species in forest soils are fungivores - they depend on the fungal mycelium for food. Statins are a group of cholesterol lowering drugs that account for around 40% of prescribed drugs by GPs in the UK. The statin manufacturing industry is worth billions of dollars and is a growing industry. The link between increased LDL-cholesterol levels and the chances of developing coronary heart disease (CHD) has long been acknowledged. Given the high cost of CHD to the NHS (in 1985-86 it is estimated to have cost £390 million ), ways of reducing the burden are likely to become more and more necessary. In the UK, coronary heart disease (CHD) is responsible for 28% of all deaths, and 33% of deaths in men under 65 years old, making it the leading cause of death. Globally, CHD is also set to become a much larger threat. Whilst in 1990 pneumonia, diarrhoeal disease and perinatal conditions were the leading causes of death, it is predicted that by 2020 heart disease, depression and road traffic accidents will be the three greatest killers world wide. This mycoses page is intended to give students (or anyone who's interested really!) some insight into the clinical aspects of mycology. This page covers an area of mycology which is more immediately interesting to most people. Here you'll find details of diseases, the organisms that cause them, symptoms, and treatments. Hope you find the journey useful. Kinetic analyses show that fungal filamentous growth can be interpreted on the basis of a regular cell cycle, and therefore encourage the view that mycelial growth and morphology can be described mathematically. Here, we review published mathematical models that attempt to describe fungal growth and branching in the vegetative (mycelial) phase. The concepts and beliefs of Chinese Medicine are collated, discussed and compared to the Western approach to treatment. Fungi and their innate properties are briefly examined and their structure summarised. The reports available on Auricularia are studied and the scientific evidence separated, dissected and investigated. Then the claims made of Auricularia are considered in conjunction with the evidence from scientific reports. This enables an exploration as to their reliability. The distinct absence of any scientific experimentation is considered in relation to both its reported healing properties and the recent competition or even possible replacement by more Western remedies. There appears to be a great disparity between the bold claims made in the literature and any evidence of its use. However the distinct decline in its prominence in the market place could easily be attributed to its perception as a fashionable treatment waning, and thus lead directly to its subsequent replacement by more popular remedies. Whatever potential Auricularia may hold, its continued study seems unlikely when contemplating the combination of its diminished use and the progression towards Westernisation throughout China. mushroom fungi (which make the most complex fruit bodies comprised of several distinctively differentiated tissues; including the cultivated ('button') mushroom, shiitake, oyster mushroom, etc.). Whilst they all have different properties, they generally all share the key feature of the fungal lifestyle, which is the ability to decay organic matter as a means of accessing the nutrients that waste materials contain (saprotrophism). In fact the recycling ability of fungi is the area that holds the prime interest for scientists today. Lignin is one of three components of plant cell walls (the others being cellulose and hemicellulose), and is a complex polymer which provides the strength and support in the secondary growth of perennial plants like bushes and trees; it is part of the woody tissue that makes timber as we know it. However, lignin is a complex polyphenolic; whilst it is of great use to all plants, it is a major problem for most microorganisms that try to access the nutrients inside the plant, but are foiled by the phenolic antiseptics released by any attempt to degrade its lignocellulose protective barrier. In fact, there is only one type of microorganism that can degrade lignin…and , yes, you guessed it…it's the fungi. Resources for teaching mycology for UK key stages 2, 3 & 4 and post 16. There are many factors that can have a dramatic effect on lung health and disease. We should all try to understand more about these factors and take actions that will help to combat the damage they inflict. Factsheets for various diseases have been reviewed by members of the European Respiratory Society (ERS) who are experts in the field. These are freely available to download as PDF documents. With the increasing rate of fungal infection, it is important for clinical mycologists to know the details of classical and newer molecular approaches in diagnosis of fungal infection. Skin, hair & nail sampling (video) This 14 minute video (split into two 7 minute parts), describes specimen collection techniques from skin, hair and nails for the laboratory diagnosis of tinea, ringworm and onychomycosis. View normal and abnormal CT and MRI scans. In contrast to viral diseases such as AIDS, bacterial diseases such as tuberculosis, and parasitic diseases such as malaria, most humans do not fear fungal diseases. This lack of concern stems from the fact that invasive fungal diseases are very rare in normal individuals. The high resistance of humans and other mammals to invasive fungal diseases stands in contrast to the fact that fungal pathogens are currently ravaging numerous ecosystems, including dramatic amphibian, salamander and coral reef declines. Fungi are major pathogens of plants, insects, reptiles and amphibians but seldom kill mammalian hosts. Leading International Fungal Education (LIFE-Worldwide) The approach that LIFE takes with respect to improving patient outcomes is a holistic one, but tempered by the realities of each country and region. 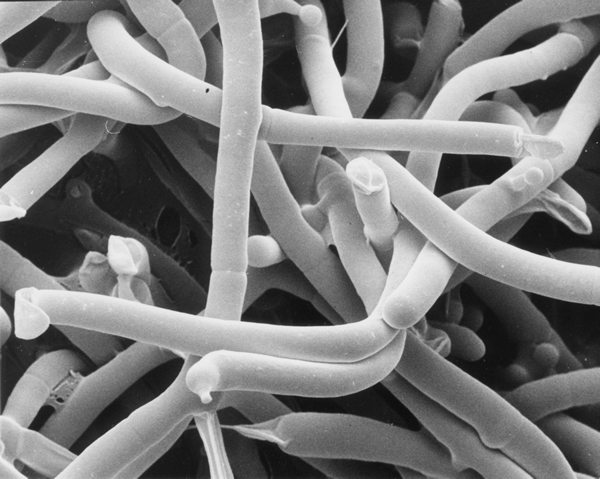 In some countries, certain fungal infections are common and the emphasis should be on these, and others are rare and are therefore secondary problems to be dealt with. Diagnosis is the cornerstone of good medicine and clinical care, and so this is the most urgent need. LIFE is therefore flexible in its approach to achieving its overarching goals. However clinical expertise, and access to both diagnostic facilities and appropriate treatments are all critical to improving outcomes. Public awareness is also important specifically for some diseases such as SAFS and both skin and mucosal fungal infections. Public awareness and education about the problem will also allow a more sympathetic environment for implementation of care improvements. LIFE’s approaches to addressing the diagnostic and treatment deficits are: Awareness and Advocacy Business engagement for sustainability Competitions to drive creativity Diagnostic development and dissemination Education of healthcare professionals (development and support of national centres of excellence for local leadership) Evaluation of efforts LIFE will work with numerous partners especially through local (often national) ad hoc groups to further its aims. ELI.H.A Aspergillus enables the quantitative determination, by indirect hemagglutination, of serum antibodies present in patients suffering from aspergillosis (Aspergillus fumigatus).